ISLAMABAD: The Pakistan Tehreek-e-Insaf (PTI) has placed novice candidates in Muzaffargarh district for the upcoming polls due to party’s flawed ticket awarding process, which is likely to benefit Pakistan People’s Party (PPP) and independent candidates in the district. 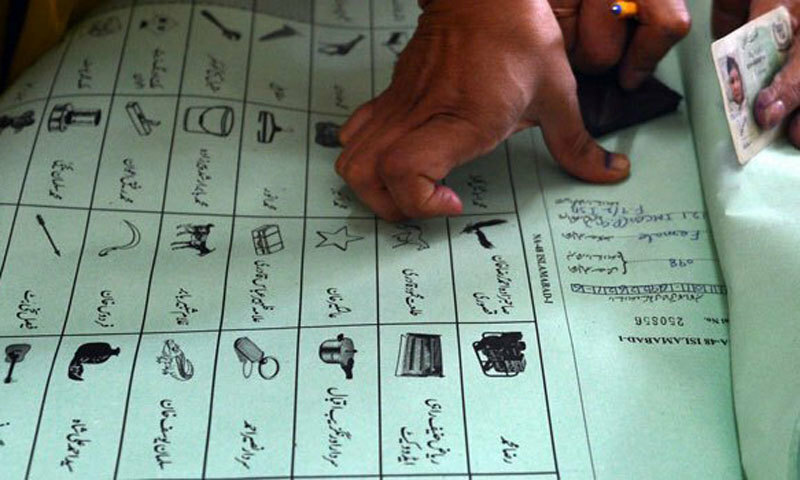 As many as 2,030,891 registered voters, including 1,130,208 male and 900,683 female, would cast their votes on July 25 at 1,710 polling stations and 3,856 polling booths across Muzaffargarh district for six national and twelve provincial assembly seats. The major ethnic group in the area is Seraiki speaking Jutt majority while Gujjar, Baloch, Rajput and Pathan ethnicities also live in the area. The flawed tickets distribution by PTI may enable PPP and PML-N to clinch some seats out of the blue as their candidates have no visible chances of making it to the National Assembly. The PTI, which could have bagged at least four National Assembly seats from the district, would have to be content with only two NA seats if the scheme of things remains the same, while the PPP can also bag two seats, with independents also having the same chances. The PML-N, however, does not stand a chance to bag two seats. The PTI has awarded tickets to weak women candidates against one National Assembly and two provincial assembly seats where political heavyweights had joined PTI after leaving the outgoing ruling party. The beneficiaries of PTI’s flawed ticket distribution include Tehmina Dasti, Mehnaz Saeed and Nosheen Abbas, who have no or little influence in their respective constituencies as compared to their opponent political bigwigs. The PPP and PML-N are set to steal some seats from Muzaffargarh despite the fact that a vast majority of voters in Muzaffargarh are going to vote for the PTI. However, weak candidates of PTI and infighting between the party’s cadres may benefit the opponents. There are six NA seats in the district where the people in previous elections voted for the PML-N. However, the party failed to capitalize on its vote bank due to a host of reasons like economic meltdown, Khatam-e-Nabuwwat controversy and the rise of PTI, sending most of PML-N’s sitting members to join Imran Khan. The PTI, however, failed to award tickets to five former PML-N MPAs who have decided to contest the upcoming elections as independents against PTI. Those denied tickets included Mian Alamdar Qureshi, Khan Mohammad Jatoi and Mian Zeeshan Gurmani. 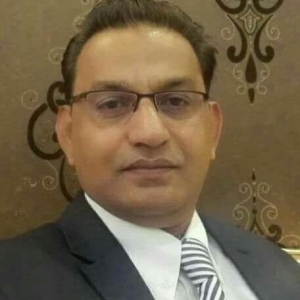 Dr Wasim Langrial, the younger brother of former MPA Qaswar Langrial, was also denied a party ticket despite a request from leaders of Janubi Punjab Sooba Mahaz (JPSM), the umbrella alliance which rebelled from PML-N to later join the PTI. Among the PML-N’s rebel MPAs, Ghulam Murtaza Rahim Khar was the only one who was awarded a ticket days before the deadline for allocation of party tickets. In NA-181 Muzaffargarh-I, former PML-N MNA Sultan Mahmud Hinjra is contesting as an independent candidate against PTI’s Ghulam Mustafa Khar. Though the fight is a close one, Hinjra has an edge over Khar as PTI dissenter Shabir Mohsin Qureshi would dent Khar’s vote-bank. Qureshi’s campaign is gaining momentum and he would damage Khar’s chances while PPP’s Ihsanul Haq Naulatia would not be able to make a good impact. Sultan Mahmud Hinjra, on the other hand, has two of his nephews, Ahmed Yar Hinjra and Qasim Hinjra, contesting for PP-279 and PP-268. Malik Qasim Hinjra earlier returned the PML-N ticket for NA-182. For NA- 182 Muzaffargarh-II, there would be a neck to neck competition between Jamshaid Dasti of Awami Raaj Party and Irshad Sial of PPP. Despite the fact that NA-182 falls under Muzaffargarh urban where PTI is very popular, Imran Khan has awarded party ticket to two women candidates who have no following and have failed to reach out to the voters. For NA-182, PTI’s ticket has been awarded to Tehmina Dasti, the widow of former minister Sardar Amjad Hameed Dasti, who has failed to make an impact yet. So is the case with PML-N candidate Hammad Nawaz Tippu who is also trailing far behind other competitors. PTI has made another blunder by awarding party ticket to a novice Mehnaz Saeed for PP-270. When Mehnaz Saeed was awarded ticket, she was enjoying her vacations in Galiyat hills. Abdul Hai, an independent candidate, is said to be in a better position to win the contest for PP-270 while Hammad Nawaz Tippu of PML-N is trailing behind. A similar situation can be witnessed in NA-183 where the PTI has awarded ticket to Malik Rafique Khar, a novice in the constituency. Though it is the home constituency of former foreign minister Hina Rabbani Khar and her father Noor Rabbani, the PPP ticket has been awarded to Hina’s brother Raza Rabbani as Hina has been put as a first priority of PPP for a reserved seat for women from Punjab. Though Raza is in a good position to win the seat, Malik Fayyaz Chajra, an independent candidate, can give a tough time to Raza Khar. It has been reported that Hina Rabbani Khar was in talks with the PTI but the deal could not be materialised. For NA-184, PTI has awarded ticket to Zohra Basit Bokhari, wife of former MNA Basit Sultan Bokhari. Jamshed Dasti, Haroon Basit Bokhari of PML-N and Nawab Iftikhar of PPP are also contesting for this seat but the real contest is between Zohra Basit and Qaswar Langrial, a former MPA who is vying as an independent and is in a solid position to win. Langrial is supported by his younger brother Abdullah Langrial and Mian Imran Qureshi, another former MPA. The race for NA-185 is led by former minister Sardar Moazzam Jatoi who is in a comfortable position to win while Basit Sultan Bokhari is contesting as an independent. Moazzam Jatoi has ditched his own party – the PTI – by getting the party ticket awarded to Zafar Mushtaq Leghari, who has not even submitted nomination papers with the ECP. Hence the party has no candidate in the run now and Moazzam would get his brother-in-law Abdul Qayyum Jatoi, who parted ways from PPP to form a coalition with Moazzam Jatoi. Meanwhile, Basit Sultan Bokhari is contesting as an independent candidate again from PP-275, in violation of party rules, leaving the party vote divided. Former MPA Khan Mohammad Jatoi, who had jumped PML-N’s ship to join PTI, has been deprived of party ticket due to Moazzam Jaoti and is now contesting as an independent. In PP-272, a strong contest is expected between Ziaullah Jatoi of PTI and Haroon Sultan Bokhari of PML-N, who has won thrice from the constituency. The battle for NA-186 Muzaffargarh-VI would be a cakewalk for PTI’s nominee Sardar Amir Talal Gopang, the son of former MNA Sardar Ashiq Gopang of PML-N, and is supported by PTI’s Sibtain Raza and Raza Hussain Bokhari who are contesting from PP-273 and PP-274 respectively. Qayyum Jatoi’s son Dawood Khan Jatoi is also in the run for NA-186 on PPP’s ticket and is expected to put a brave fight.